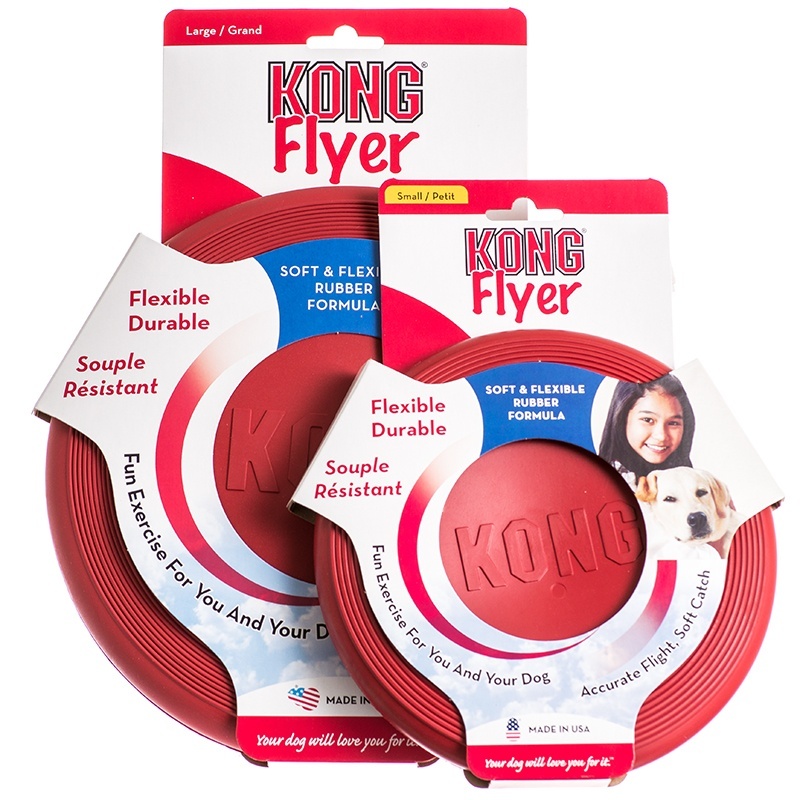 The Kong Flyer is one of the best soft rubber discs you can get. Rigid enough to fly a good distance, but still soft enough so as to not hurt the dog's teeth if caught. An excellent choice for games of fetch and catch. 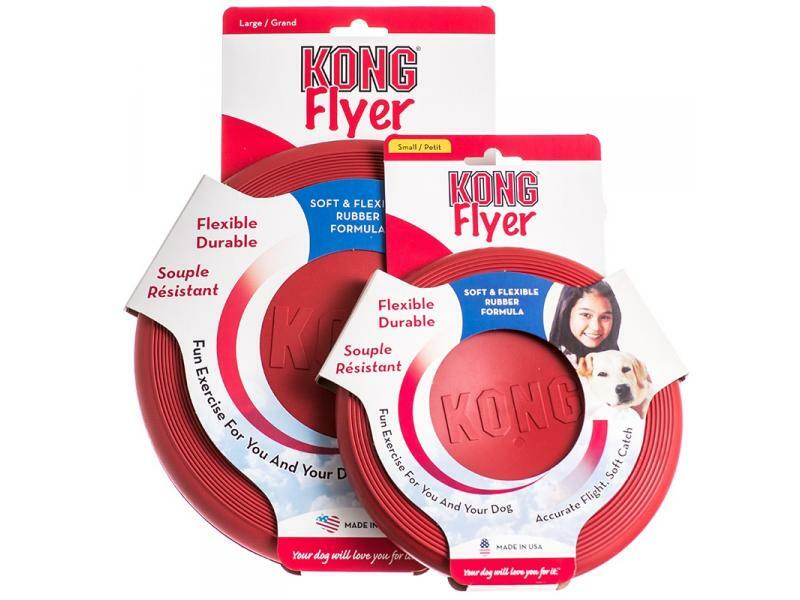 There are currently no questions for Kong Flyer Dog Toy - be the first to ask one!